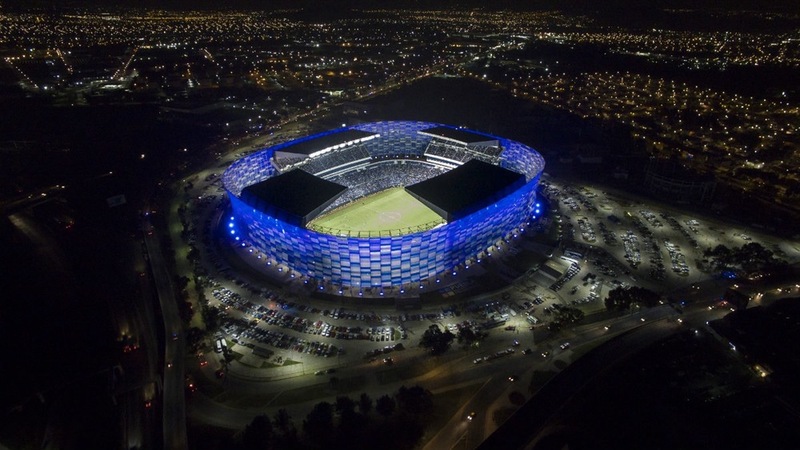 The Cuauhtemoc Stadium became the first stadium in America to use ETFE for its facade. Dunn Lightweight Architecture chose the material and patterned it as a mosaic to create a stunning result. 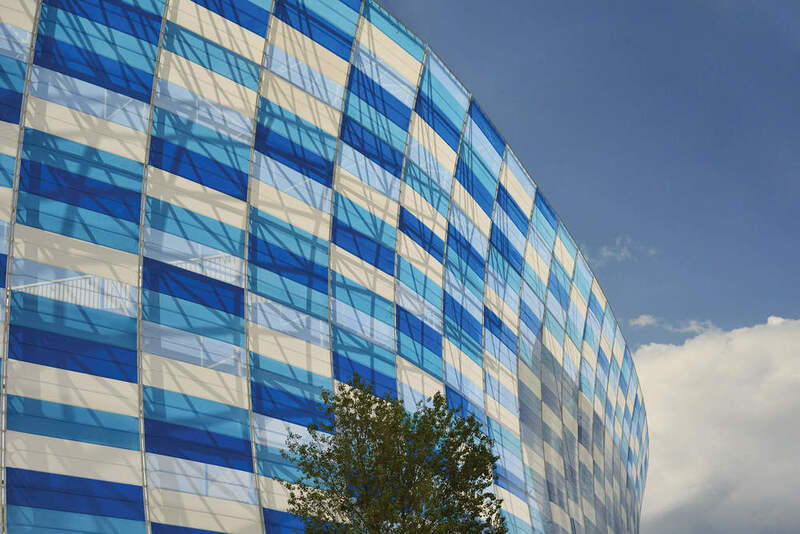 ETFE has come to replace glass in many applications due to its light weight and light transmission. 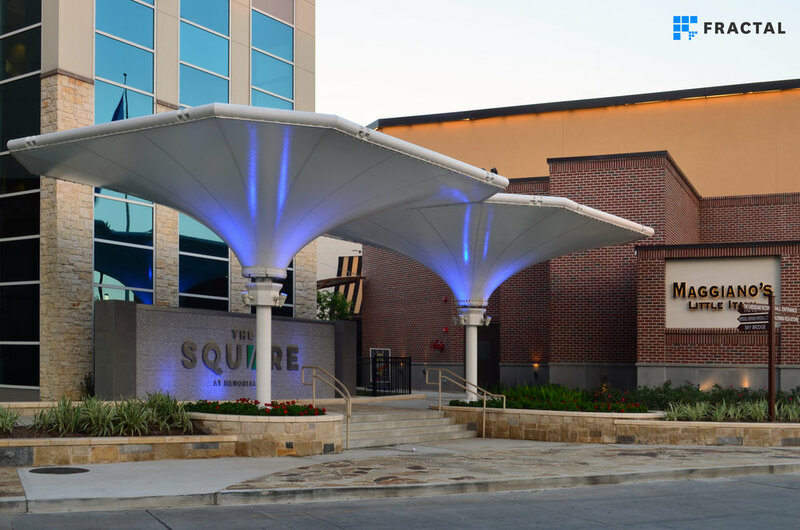 This project was designed and managed by Marco Cano and Oscar Valdez. 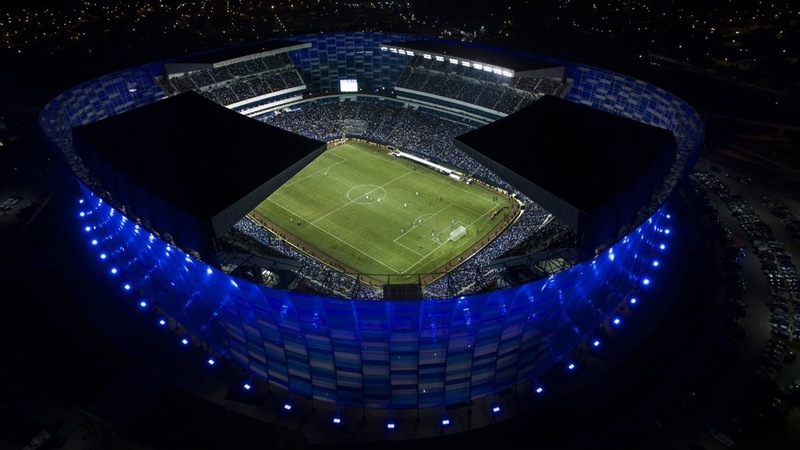 PASCUAL GUERRERO STADIUM. CALI, COLOMBIA. 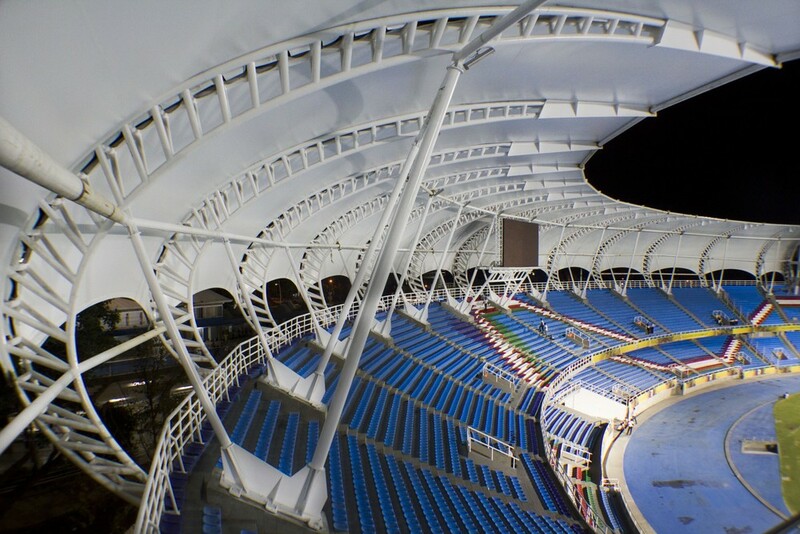 As part of the preparations for the FIFA World Cup U20 in Colombia, the city of Cali decided to renovate the Pascual Guerrero stadium. 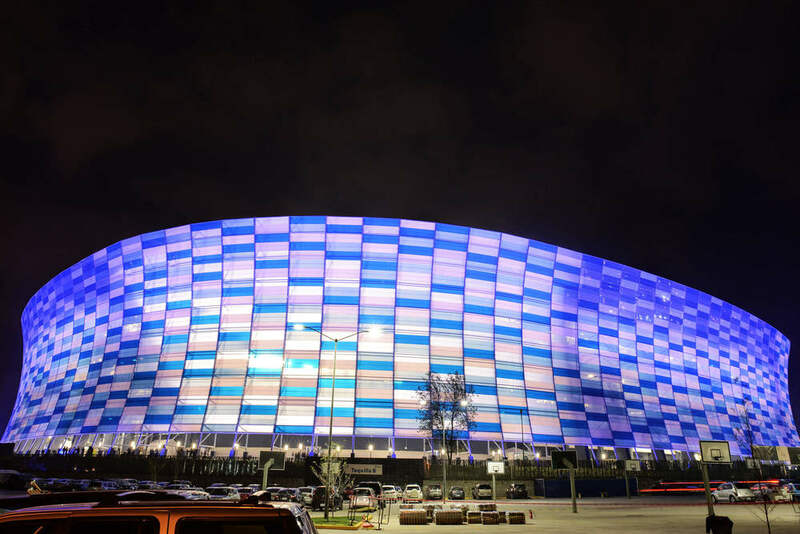 The renovations were designed by Roberto Muñoz now with Dunn Lightweight Architecture and consisted of a series of Calatrava steel trusses supporting a lightweight membrane fabric to provide cover to spectators. INSURANCE INSTITUTE OF HIGHWAY SAFETY. VIRGINIA, USA. 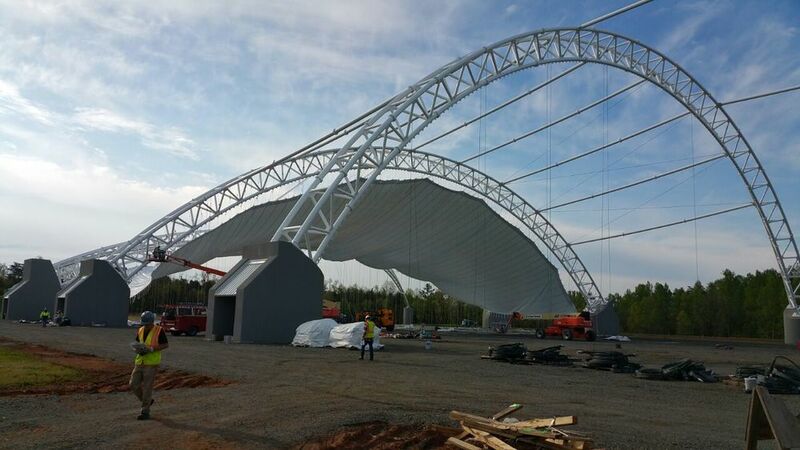 When the Insurance Institute of Highway Safety decided to build a new test site in Virginia they secured the services Roberto Muñoz and Horacio Lopez with Dunn Lightweight Architecture for their new facility. The project required a large area free of intermediate supports for vehicular testing; this was accomplished with steel trusses that span 300 feet for a total covered area of 192,000 square feet. This project was designed and managed by Marco Cano. 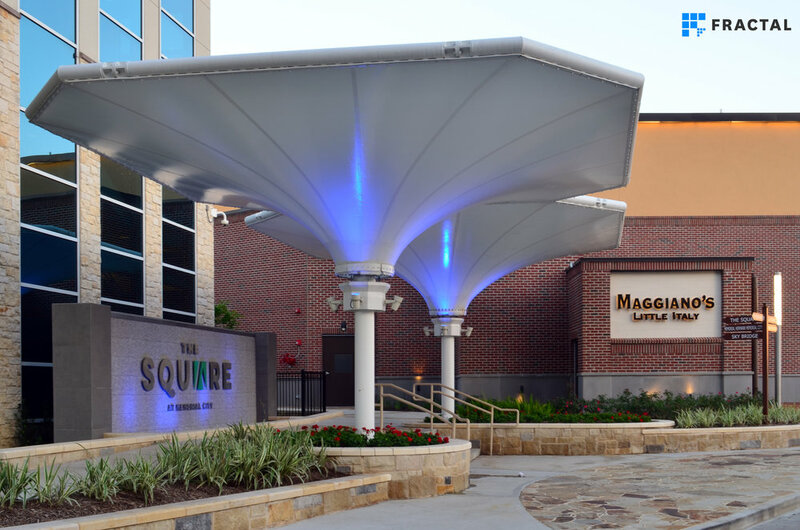 The Square at Memorial City Mall. Houston, TX. 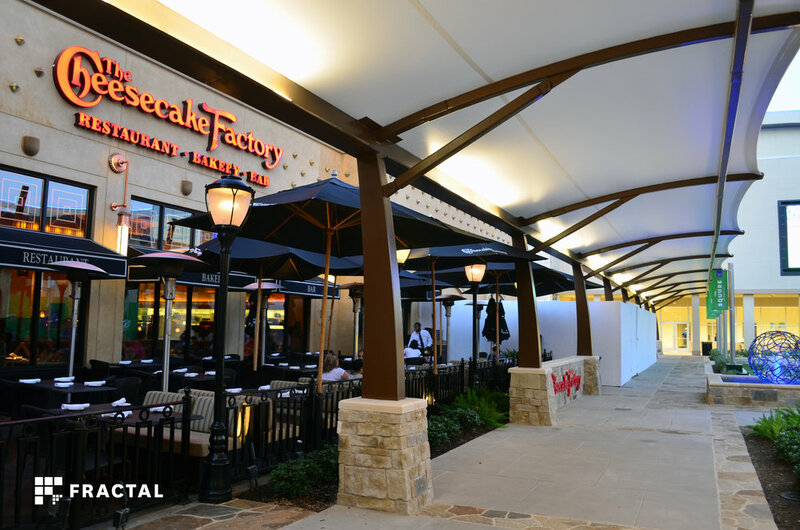 A covered walkway consisting of curving steel structures with membrane covers are the main focus of the exterior renovation to the Memorial City Mall. The walkway provides cover to the visitors as they make their way from the skybridge to the mall. The project was designed by Kudela & Weinheimer and managed by Thad Kudela and Casey Collins. 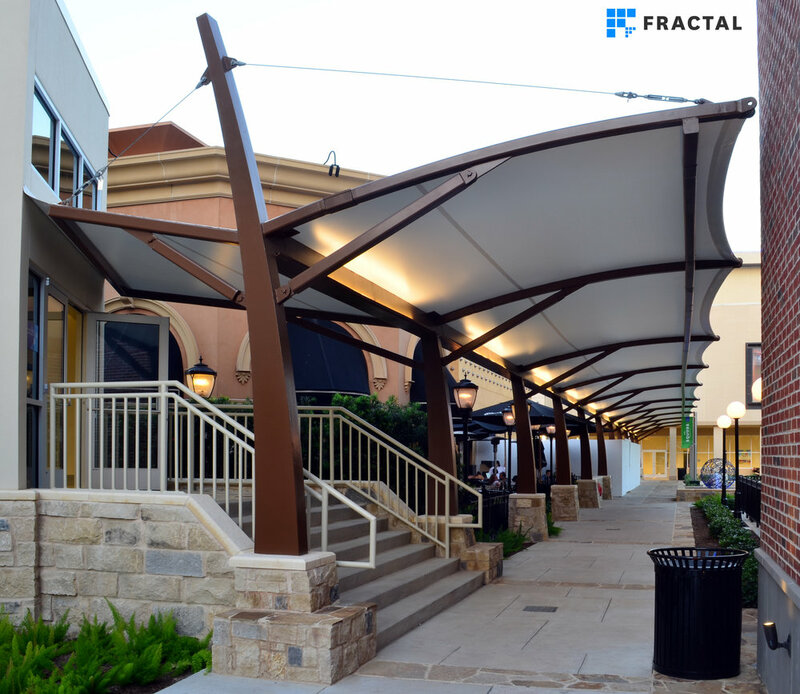 This project was designed and managed by Marco Cano at Fractal Structural Engineering.